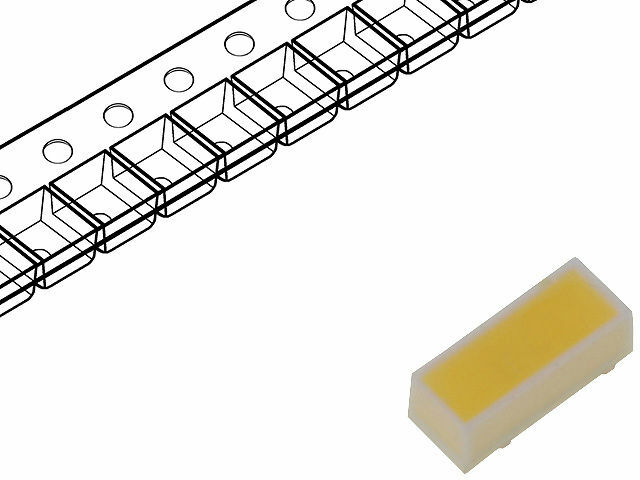 The CLL620-0101B2303M1 diode is a new flight of well-known CLL600 series of LED diodes which is characterized with smaller height in comparison to its antecedent and higher luminous efficiency. Additionally, this series is characterized with colour rendering index with the minimum value of 80, as well as classified as the 3rd level on the MacAdam’s chromaticity scale which informs about variances of colour shades (colours) not recognized by the human eye. Thanks to such parameters, customers can be sure to receive a product with the same colour temperature. LED can be applied in linear sources of light, designations or as a component designed to manufacture LED lamps.